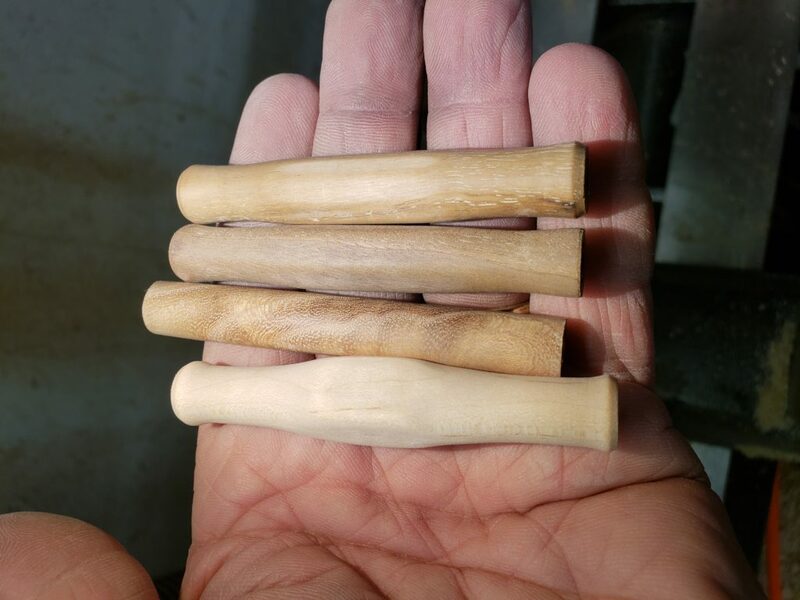 When I first started making seam rippers, I used a small Dritz ripper and glued the existing ripper into a turned handle. 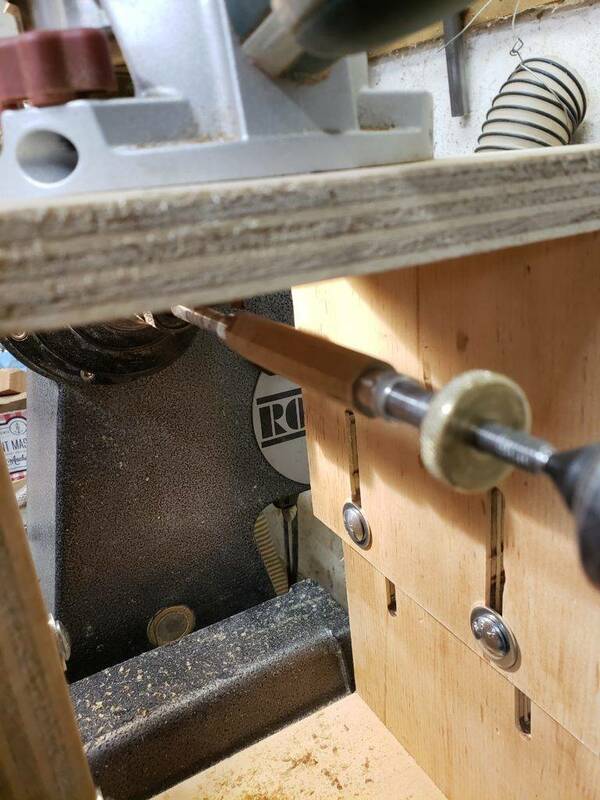 After I received some input from my wife, who is an accomplished seamstress, I experimented with a few where I left a square portion on the handle so the ripper would not roll when it is laid on the table. Later I began using a commercial kit from Penn State Industries to make seam rippers. Of the three kits available, the most popular is the double-ended version. 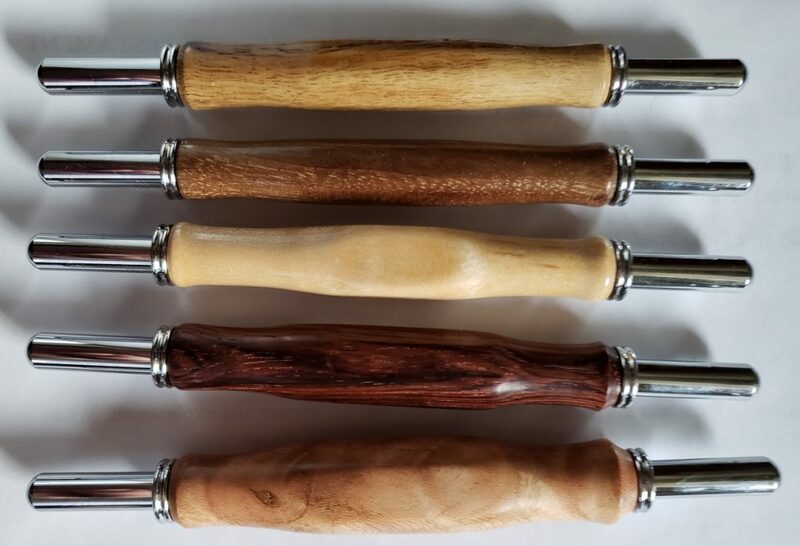 At a recent craft fair a lady told me she liked my seam rippers except for the fact that they roll when they are laid on the work table. SHe asked if there was anything I could do about that. I took that as a challenge. 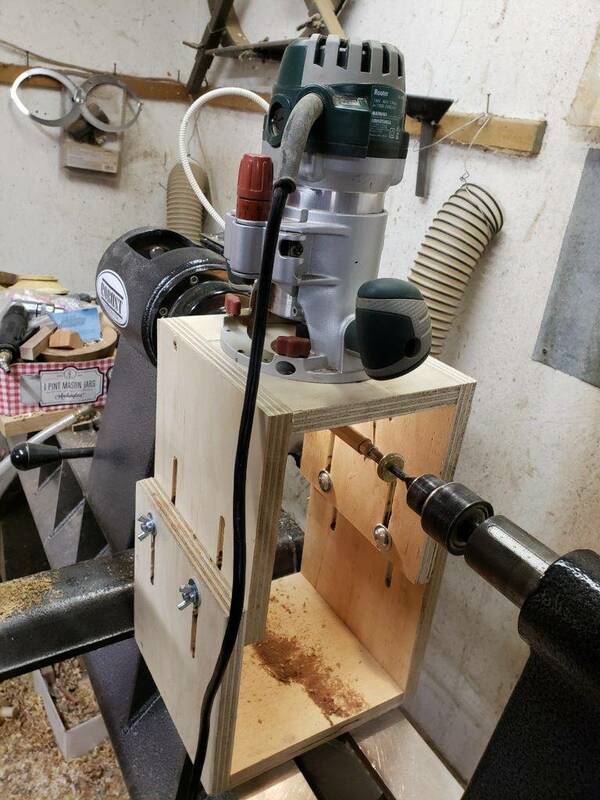 First I put together a simple router jig for the lathe. It consists of two three-sided open boxes, one of which slides inside the other. On the narrower box (which goes on top), I drilled holes to mount my router. On the sides of the boxes are slits to allow adjustment up and down to fit various sizes of lathes, if that should be an option. 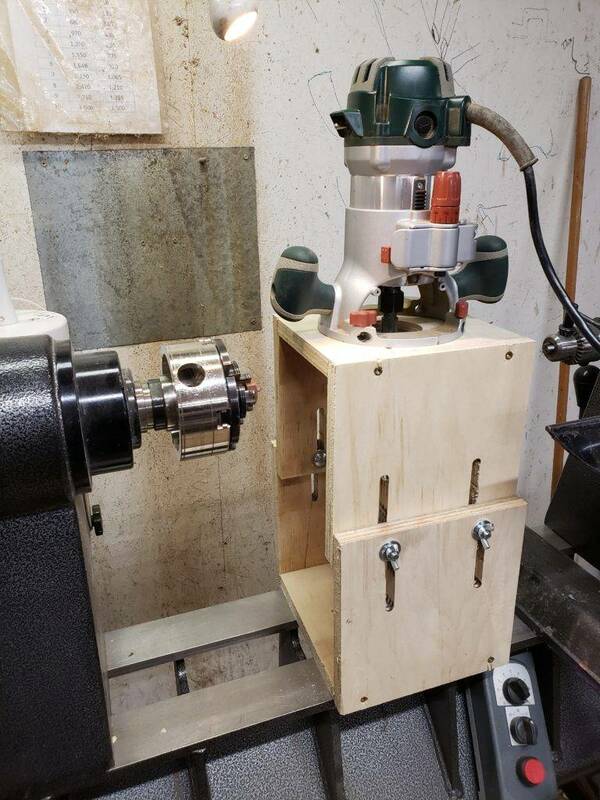 On the bottom of the lower box is a guide block to fit between the ways of the lathe. 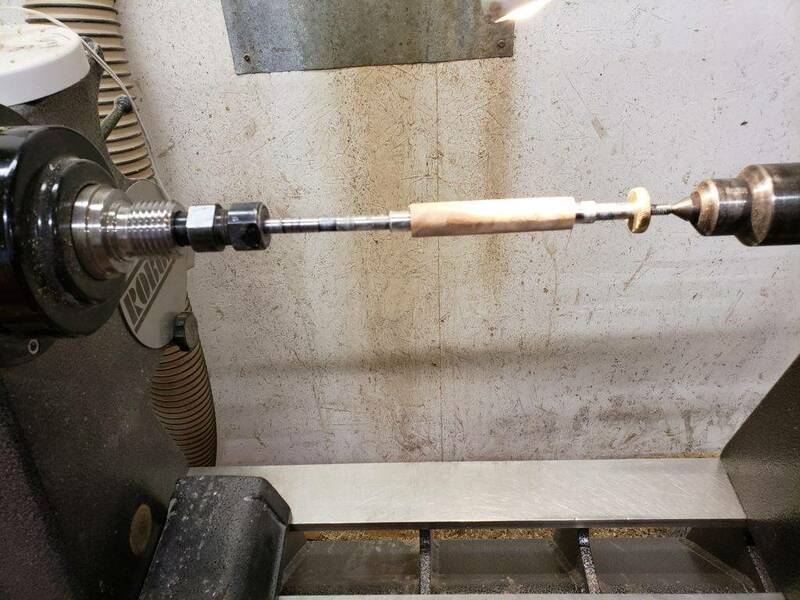 Next, I did something I said I would never do – I mounted a pen mandrel on my big lathe, I am using it because the lathe has a nice indexing system with 48 holes built into it. This is pretty easy to use. 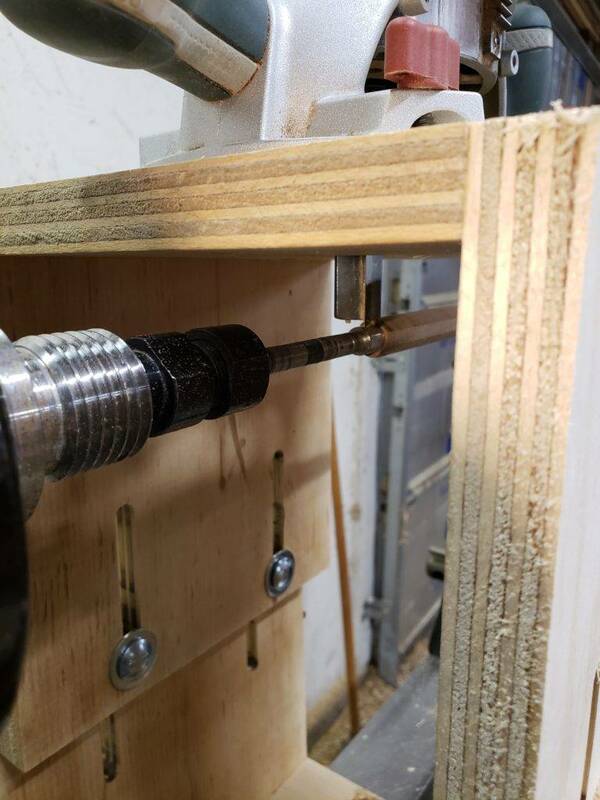 First I place a glued-up seam ripper blank on the pen mandrel between bushings, and turn the blank until it is round, or almost round. I’ve learned that if the tube is glued off-center in the blank, I can leave a flat side on the blank. Next, I place the router jig on the ways of the lathe and bring the tailstock back up to the mandrel. 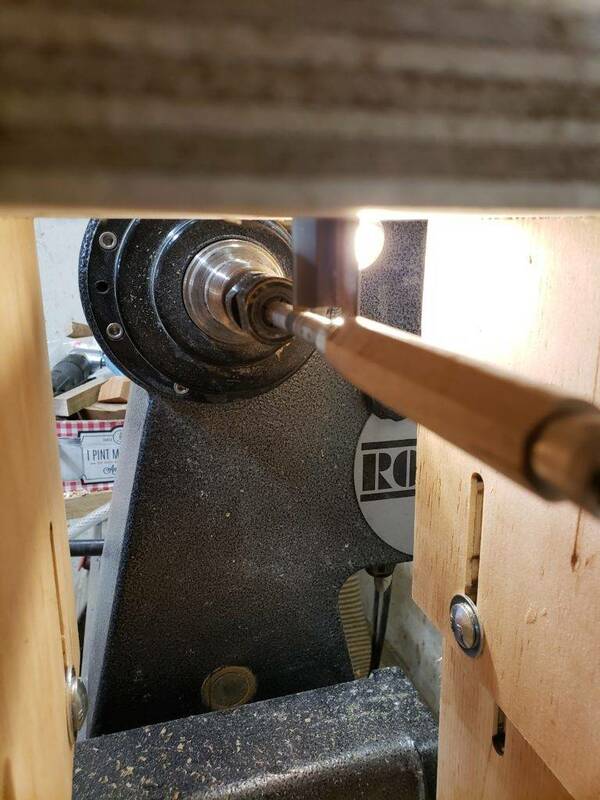 If there is a flat side already on the blank, I loosen the nut on the mandrel and turn it to the top side with the lathe spindle set to the Zero indexing mark. I simply slide the jig along the ways with a large square bottom bit in the router. After the first side is routed, I then turn the spindle the required number of indexing holes for the blank I am making. I have made 8-sided, 6-sided and 4-sided blanks. The 6-sided seems to be the optimum for not rolling and still comfortable in the hand. After the sides are routed onto the seam ripper handle, I turn the ends. I try to place a small rise at the end for the user’s thumb to push against. 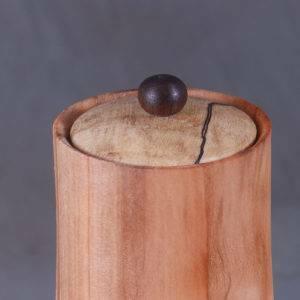 A caution – I check the tightness of the nut on the mandrel before every cut. 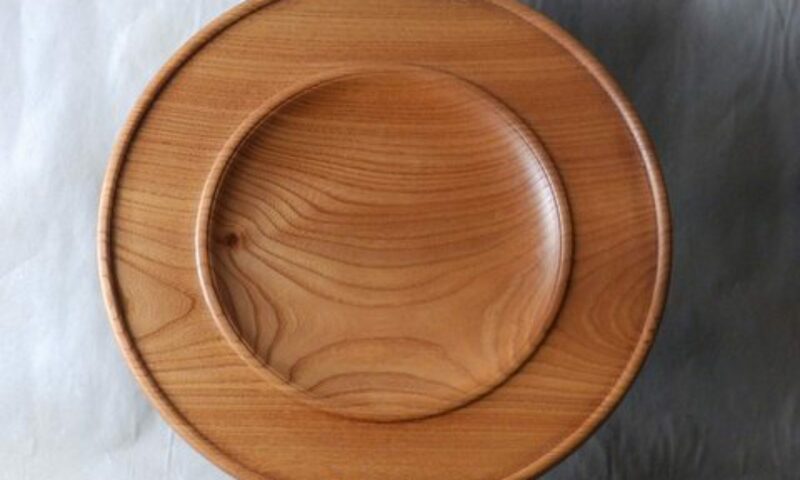 In the picture above, the third handle down is round. 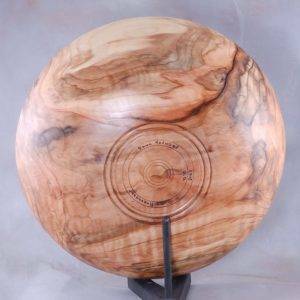 This was a very hard wood (honey locust) and the vibrations from the router loosened the nut and allowed the barrel to turn on the mandrel. Completed seam rippers with “won’t roll” handles. A couple years ago, at one my regularly scheduled medical checkups, my GP told me he had saved some wood for me. 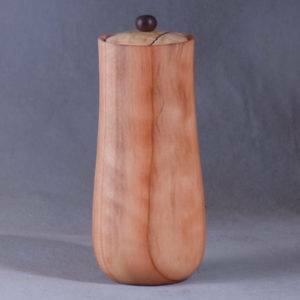 It was a Dawn Redwood shrub, which he had planted several years previously, but which had become unattractive. 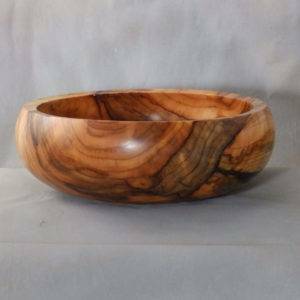 When he cut it down, he decided the wood was too attractive to send to the landfill, so he saved it for me. I was quite honored. This tree has an interesting background. Scientists had seen fossil evidence of it, but thought it was extinct. Then, in the 20th century, a valley in China was found where the tree was in existence. 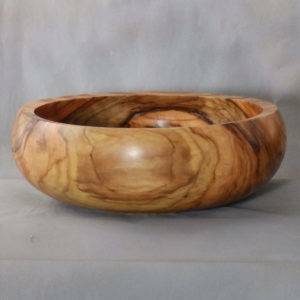 Within a decade, it had been exported all over the world as an ornamental. Today, although the tree is in no danger of going extinct, it’s native habitat is considered to be threatened from industrialization and population growth. The tree loses all it foliage in the fall, however it is coniferous. The foliage turns pink before it falls. The pink color is where the name Dawn Redwood is derived. 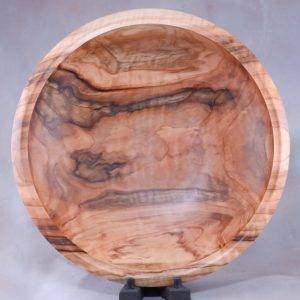 I have the opportunity to finish a few pieces from this wood, from a fairly large bowl down to a few pens. Here are some pictures. 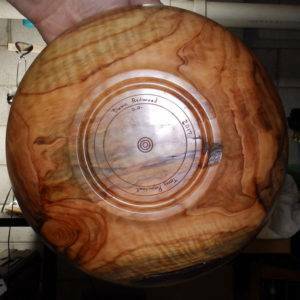 The first 7 pictures are of the most recent bowl. 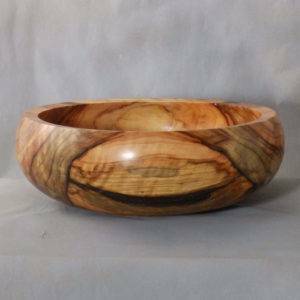 This bowl was sold at a craft fair in the fall of 2017. 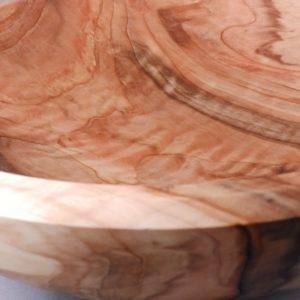 The next few pictures were of the first bowl I made from the Dawn Redwood. 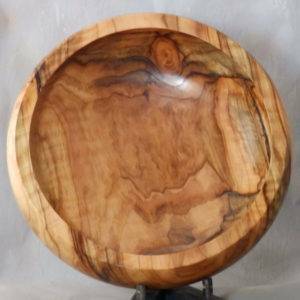 This bowl was sold on-line in the fall of 2016. 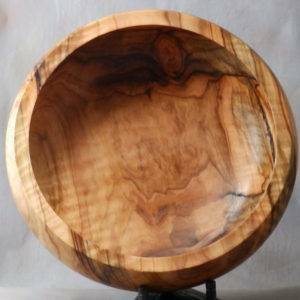 One of the first things I made from this wood was a small lidded jar. 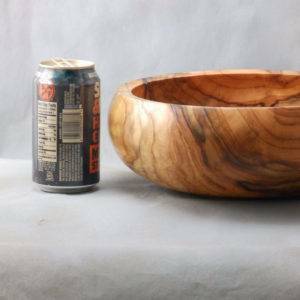 The lid of the jar is spalted maple and the knob on the lid is black walnut. 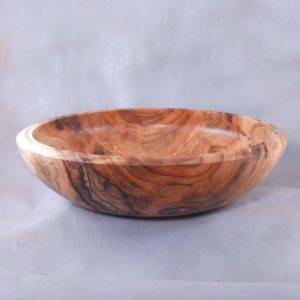 I gave this piece to my GP to thank him for the gift of wood.